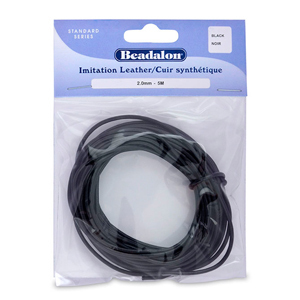 Imitation Leather Cord is a great alternative to leather; it is consistent in size, has a greater break strength, and is more economical than genuine leather. 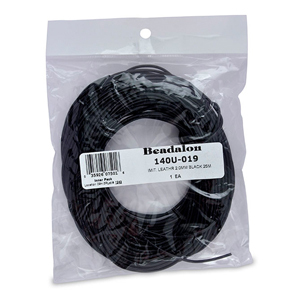 This faux leather cord, available only in black, is perfect for hobby projects and for economy jewelry lines or where strength and size consistency is needed. Thickness ranges from 1 mm to 1.5 mm to 2 mm. Choose either 16.4 length or 82-foot length. Made in the USA by Beadalon.